To ensure our customers are receiving a quality product we inspect and test every spool of wire we manufacture to ensure it meets the current NEMA specifications. Each incoming spool of wire is visually inspected for any external damage such as scratches in the film , then several sample pieces are cut and subjected to a battery of physical and technical quality tests. These same tests are then repeated on each spool of finished product before it is shipped out. The bare wire is checked for proper size using digital micrometers, then placed on a springback machine to measure the correct Rockwell hardness of the conductor. A sample is then elongated on an elongation machine to check softness and film insulation adherence. Finally , a sample is placed in a dielectric machine to test voltage capacity. 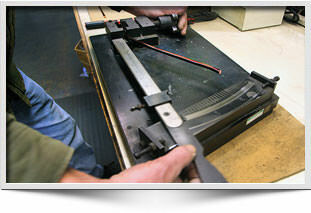 Our goal at S & W Wire is to provide a quality product every order when you need it at a fair price. 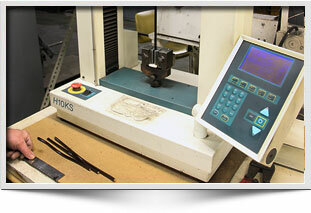 For more information about our magnet wire testings services click here to contact us online.